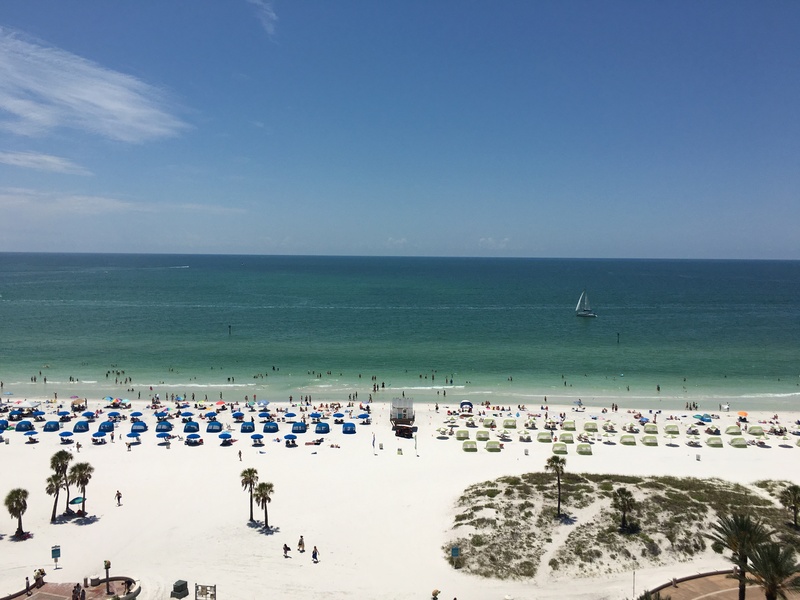 As highlighted in my earlier post, we enjoyed our time at the Hyatt Regency Clearwater Beach Resort and thought it made for a perfect long weekend getaway. To maximize our long weekend, we booked the last flight back to Long Island on a Sunday night that left Tampa at 8:45pm so we could fully enjoy our Sunday. We decided to try out the hotel’s poolside cabanas for the day which are actually “mini-rooms” of sorts whose sliding doors open to the pool area. 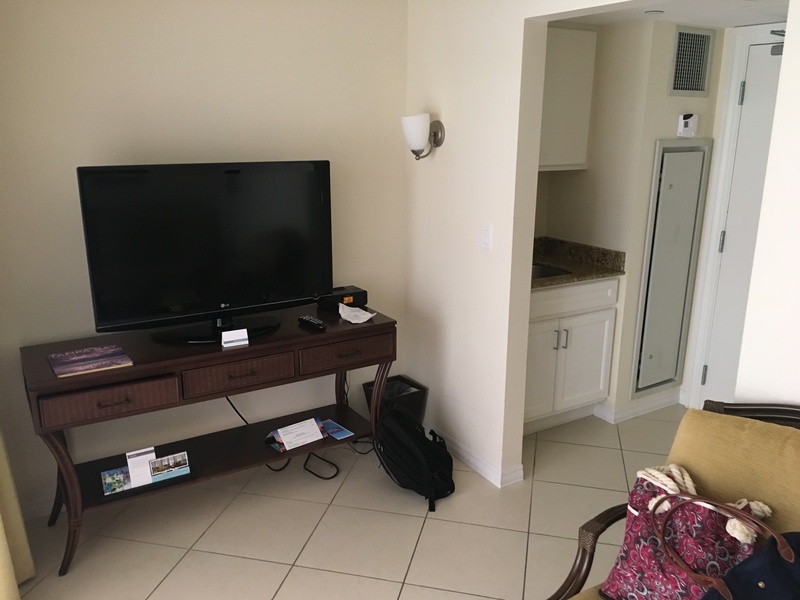 Since we would have to checkout of our suite by 11am, we thought this was a great opportunity to still have a “room” where we could store our stuff, have a private bathroom and comfortably relax on the couch or watch TV. 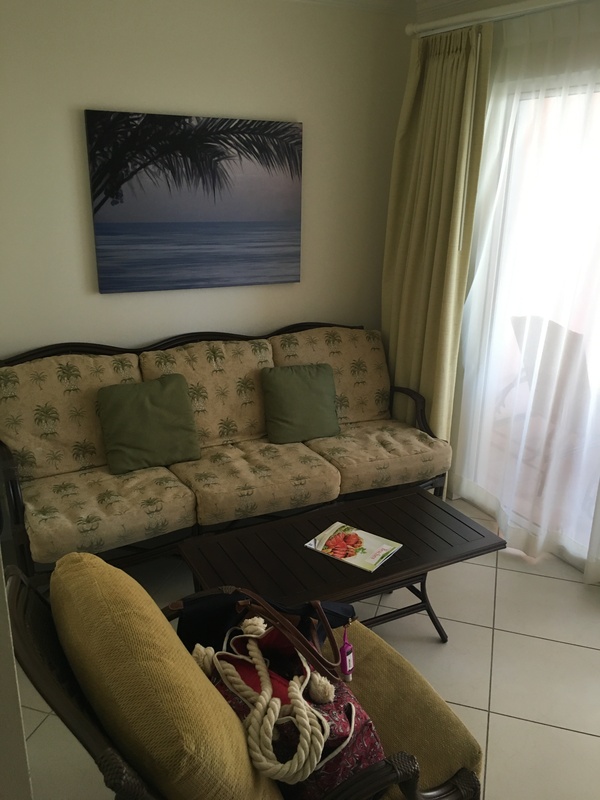 Yes, these cabanas come equipped with a living room and TV which came in handy for my wife who was 7 months pregnant and needed to escape the sun for a bit. 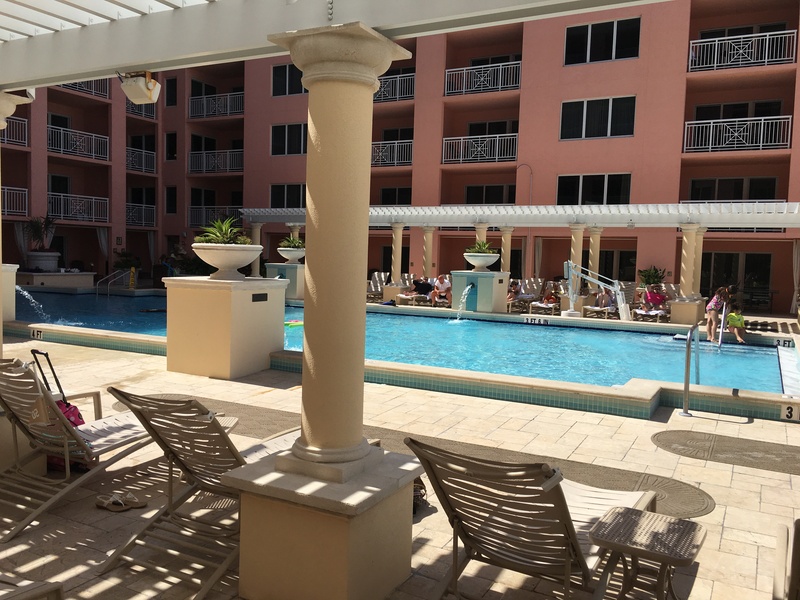 There are two sizes of cabanas which surround the pool on the 8th floor of the hotel – small cabanas (holding 4-6 people) which cost $99 and larger ones (holding 8-10 people) for $149. Unless you a hosting a large party in the cabana for the day, the small one should be sufficient for most with enough indoor & outdoor seating for all. To access these cabanas, you go up to the 8th floor and look for your cabana room marked with “C” followed by the cabana number. 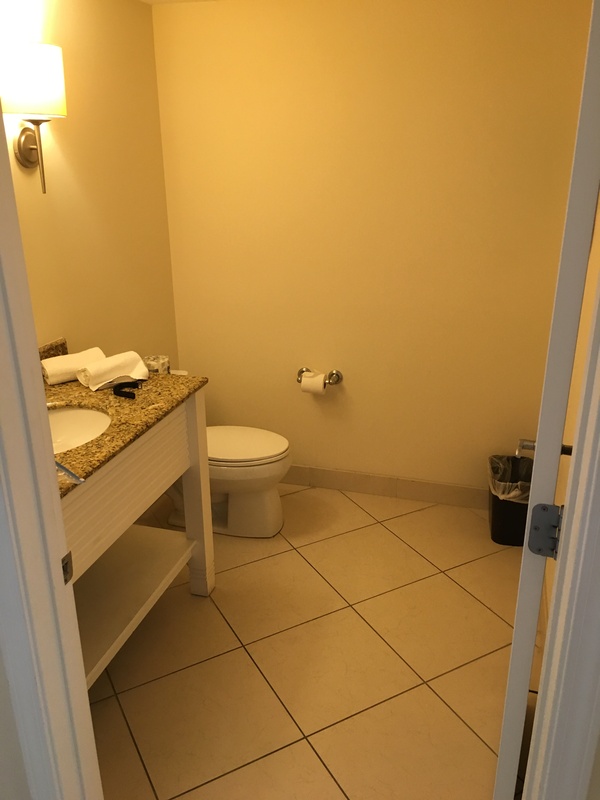 Upon entering the private half bathroom is immediately to your left – if there is a downside, it would be the lack of a shower in the bathroom. To the right when you walk in is a sink which I didn’t find useful considering there is a sink in the bathroom already. Straight ahead in the room is the living room of the cabana with a sofa and TV (and nice cold AC to escape the Florida heat). Additionally, there is also a safe for those that are wondering if you wanted to store any valuables. 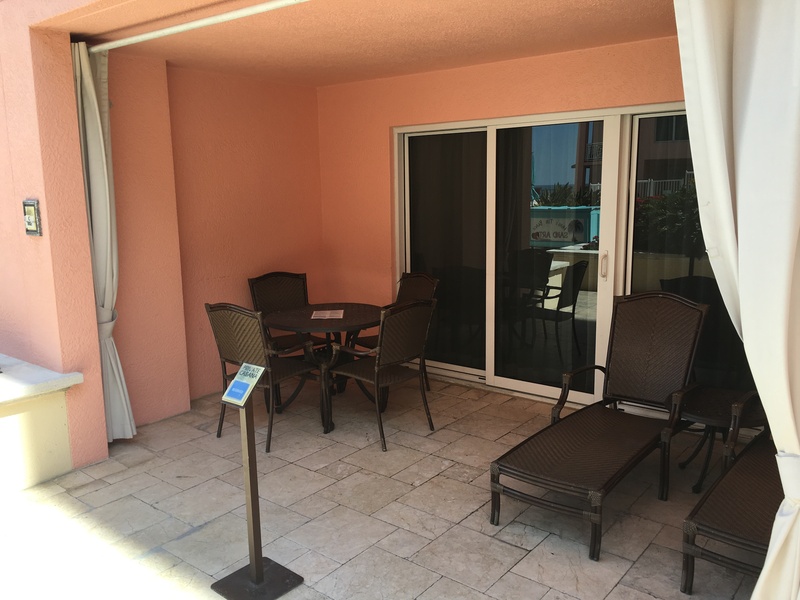 At the end of the room, there is a sliding glass door that leads out to a covered area with a table and 4 chairs plus two loungers. All of this seating is only for your cabana and there is small sign in front telling others these are reserved. I forgot to take a picture of it but there was a special menu available for cabana rentals that offer packages of various food/drinks for what seemed to be rather reasonable prices. I remember one package that offered offered soda, beer, & snacks and thought it was good deal if you have a larger group. One other perk of the cabanas was that you could order anything from any passing waitress (or go up to the pool bar yourself of course) and have it delivered to your cabana. Overall, I though having the cabana really enhanced our last day since we didn’t have to leave the hotel till 6pm to catch our 8:45pm flight. While I know the hotel would have held our luggage, I’m not a fan of having to keep going back to the front desk if I need something from my bag and then having to figure out where to change or refresh before leaving. It was especially nice to have the private bathroom and a cozy little “room” to sit inside when we needed a break from the sun. For $99, I wouldn’t hesitate to do this again as it really did make our last day much more enjoyable. 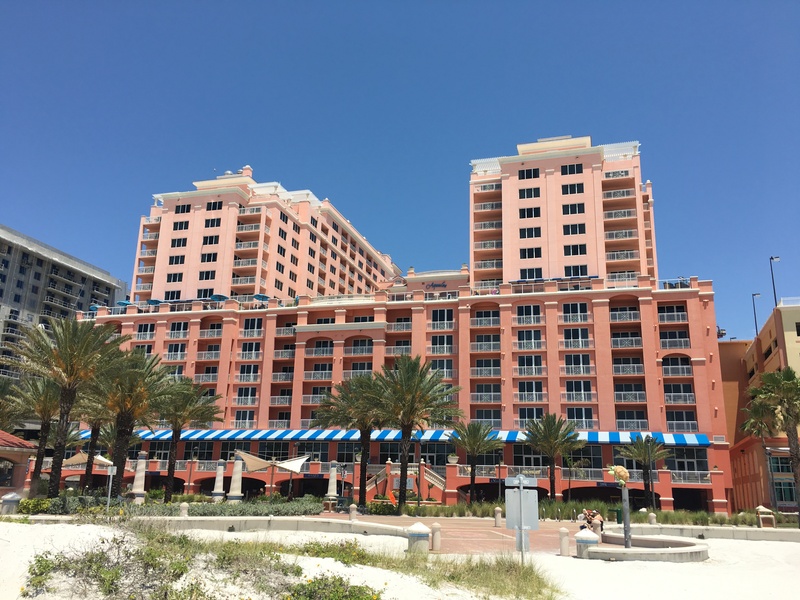 Last month, my wife & I spent 3 nights at the Hyatt Regency Clearwater Beach Resort for our unofficial second “babymoon” to celebrate the impeding arrival of our baby girl in a few weeks. 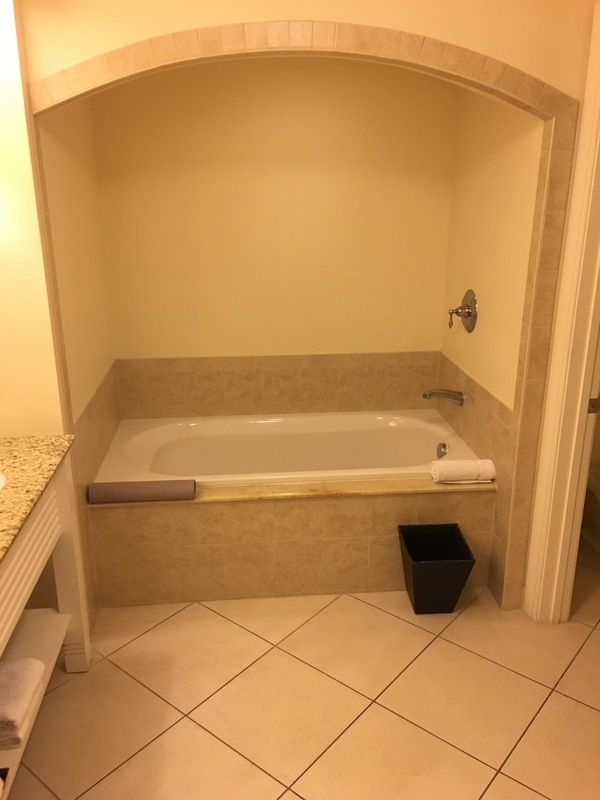 I’ve probably been to Clearwater, Florida more than a dozen times, mostly a child or teenager as we always took family vacations here but this is the first time I’ve visited as an adult and stayed at a hotel right in Clearwater. 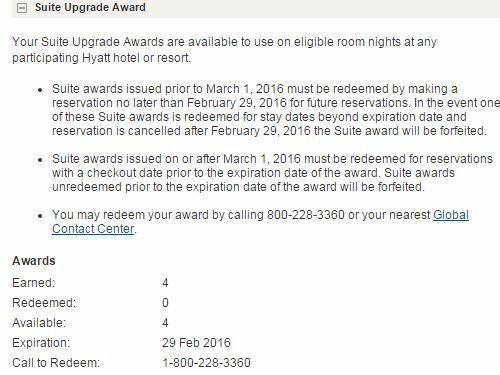 For this stay, I could have booked the room using Hyatt points for 20,000 points a night, paid the revenue rate of $299/night or hold out hope for points & cash availability which would cost 10,000 points + $125/night. 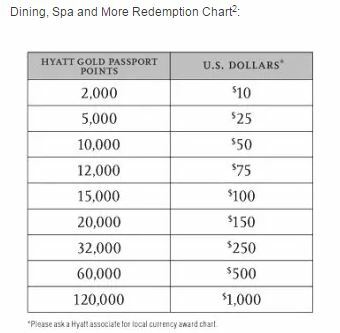 Since I’m running a bit low on Hyatt points, my first choice was a cash and points award and eventually a points & cash reward became available a few weeks before our stay. 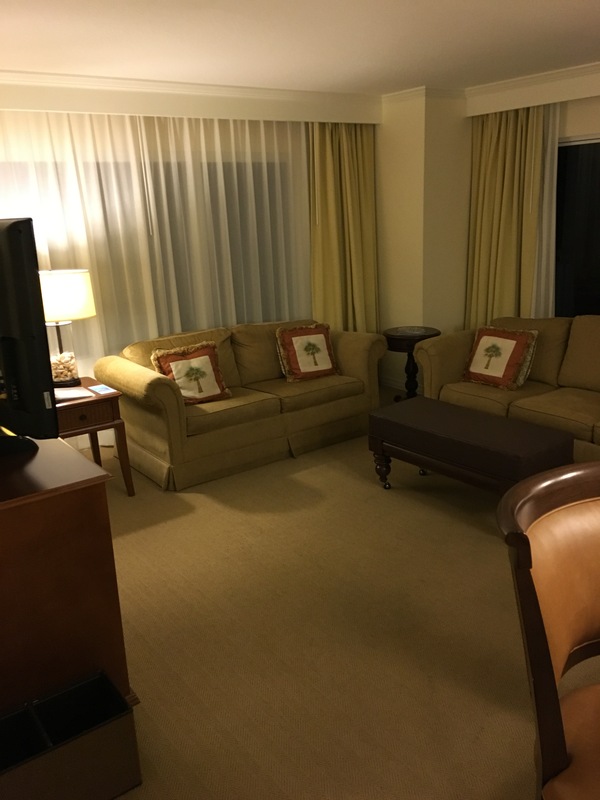 Booking that rate allowed me to use a Diamond Suite Upgrade since I am a “loyal” Hyatt Diamond member which confirmed us into a ~900 square foot suite. 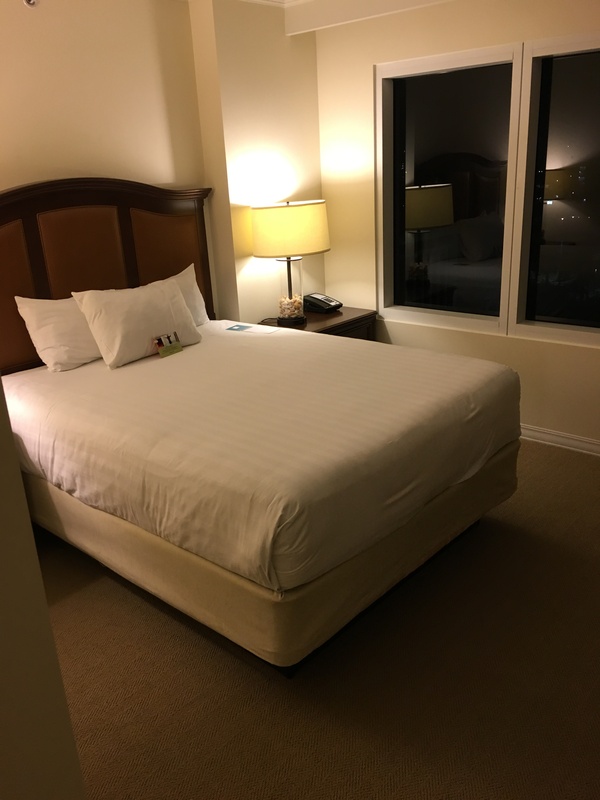 Even though it was just the two of us, I expect our travel this year to be drastically reduced so I figured it made sense to burn one of my DSUs for this short trip – this turned out to be a wise decision. After an uneventful flight on Southwest flying ISP-TPA (I love flying out of Islip MacArthur airport since it is so small – really beats flying out of JFK or LGA), we picked up our rental car from Budget as I was able to book a cheap rate using Costco Travel and drove about 30-35 minutes to the hotel. We pulled up to the front of the hotel and there are two options for parking – self park for $18 or valet for $22. For the extra $4 bucks, it seemed like a no-brainer to valet it. We proceeded inside to a small check-in area which was empty at 9pm and a friendly associate helped us right away. 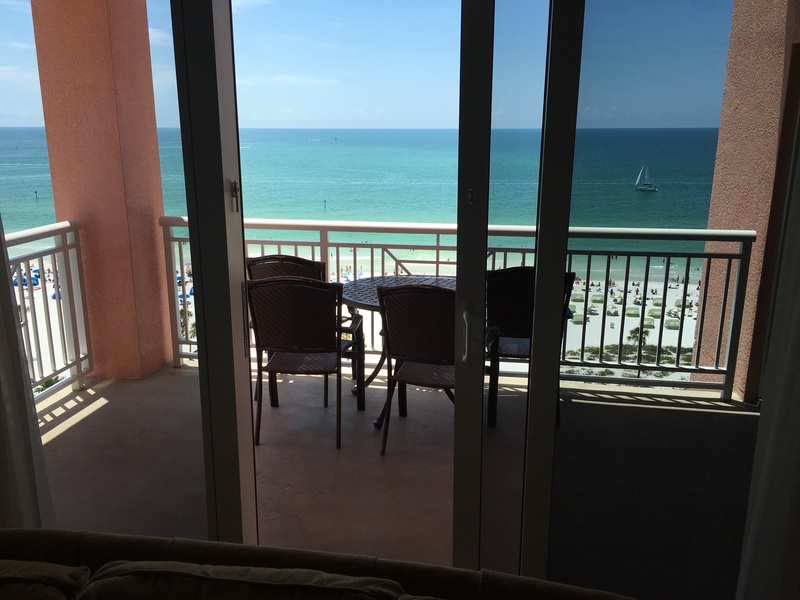 We were pleasantly surprised to learn we were upgraded so instead of the ~900 square foot suite I had booked, we now had a ~1,100 square foot Two Bedroom, Gulf Front Suite on the 10th floor. 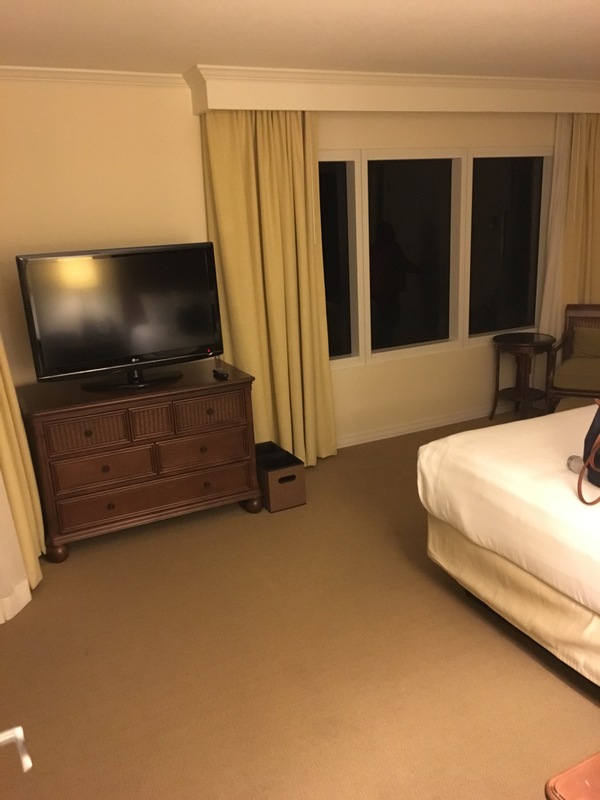 This room normally goes for a $200/night more than the 1 Bedroom Suites and is the second largest room in the hotel behind the Deluxe Two Bedroom Suite. 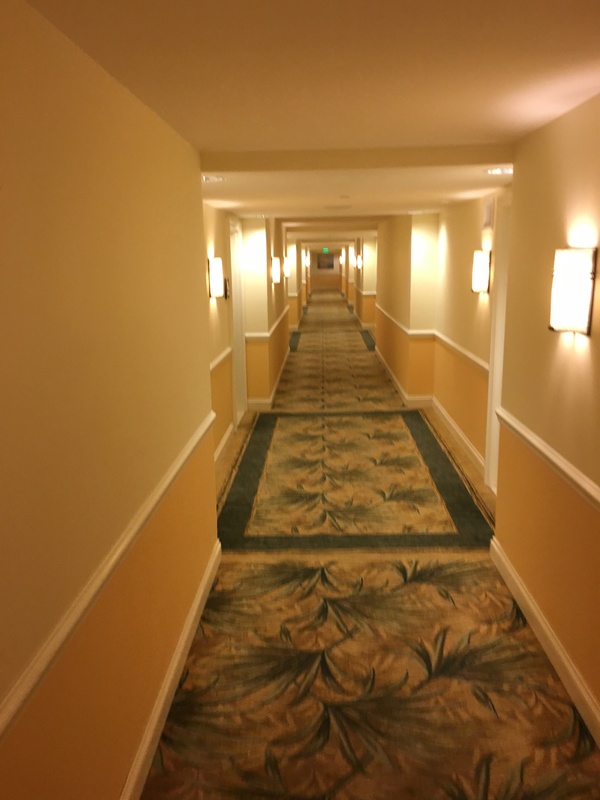 It was a short walk to the elevator and our room was the very end of the very “Florida” themed hallway. 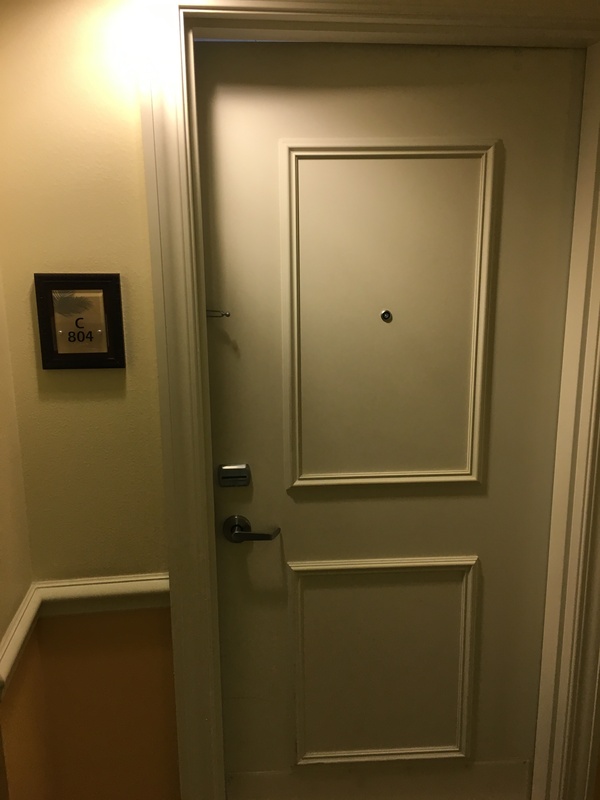 Upon walking into the room, we were both impressed with its size and layout. Apologies for the poor picture quality but I took most of these at night right when we checked in. The kitchen was stocked with pots/pans for cooking but with the short trip we didn’t partake. I did appreciate the dining booth with seating for 4 in addition to barstools across from the kitchen sink for additional seating if we had a larger group or invited people over. The living room and master bedroom both has sliding doors which had absolutely gorgeous views of the water – we spent a lot of time here once we had too much direct sun on the beach or at the pool. Lastly, on the right side of the room was the Master Bedroom with ensuite that had both a shower and tub. 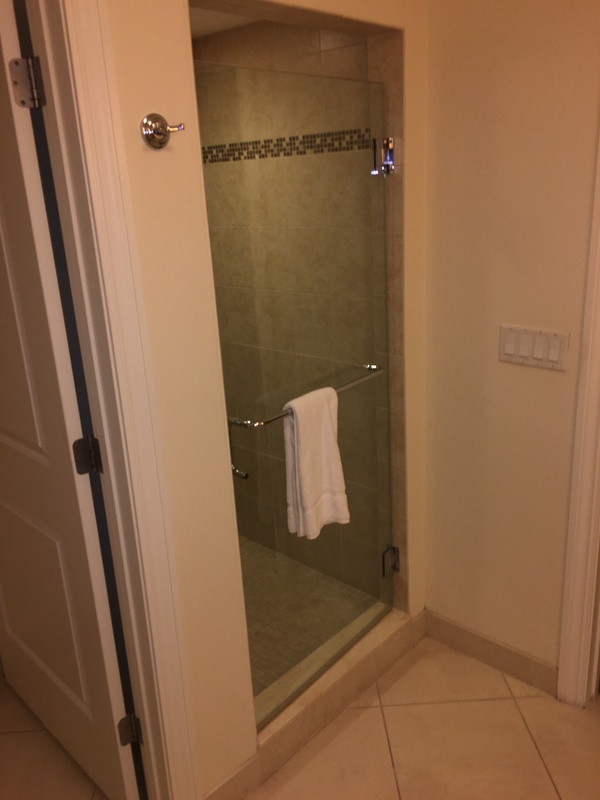 The shower was equipped with rainforest shower head and there was a double vanity as well. For the two of us this room was plenty big. For a family of four, this would have been a perfect room & one I would definitely consider if I returned with my growing family in the future. Since I was a Diamond member, breakfast was included at the on-site restaurant Shor. They have a very generous breakfast policy for Diamonds as you could order the breakfast buffet, which had all the standard items including made to order omelettes. 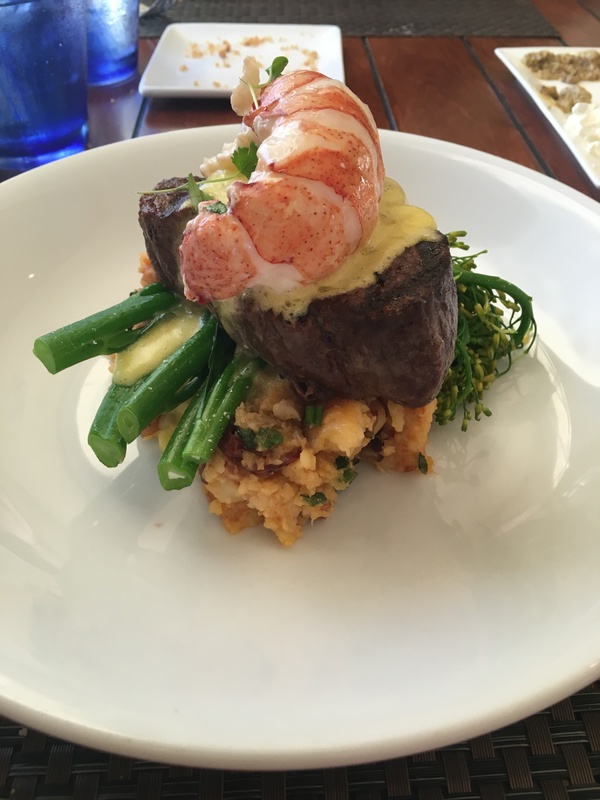 Additionally, we were allowed to order off the menu at no cost which had some specialty items like Crab Benedict, Multigrain Pancakes and a delicious Cuban sandwich (my favorite). We also were able to order cappuccinos and other specialty coffee drinks that were comped as well. I don’t have any pictures from breakfast (I’ll leave that to Ben over at OMAAT) but I did snag a couple of pictures from dinner our last night at Shor. 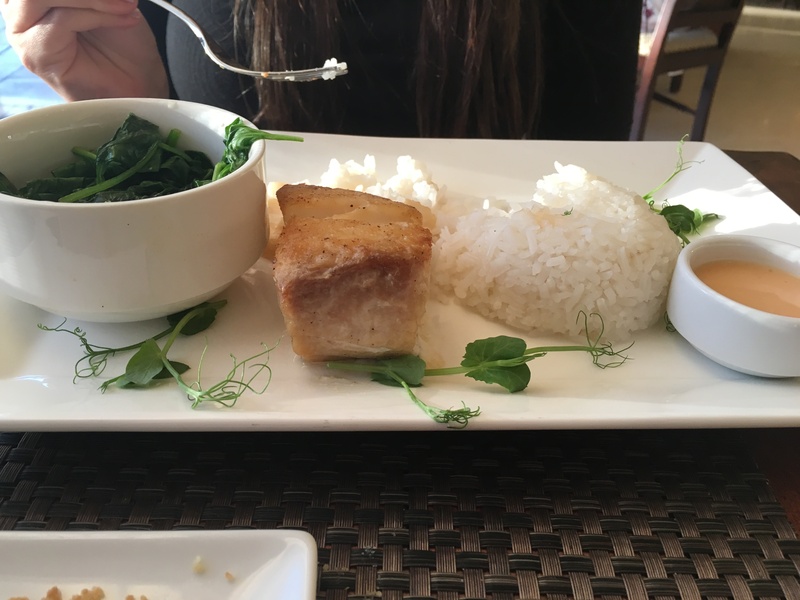 While pricey, my wife and I were both impressed with our entrees. I recommend going about a half hour before sunset and ask for an outside table as it was a direct sunset view. Around the hotel, we had an opportunity to rent a cabana for a day and I’ll review that & the pool area in a separate post. We spent most mornings at the beach which is directly across the street from the hotel. We did not have a chance to check out the fitness center or any other of the public areas of the hotel though we did pass by the concerige desk and noticed they sell discounted Busch Gardens tickets. Might be useful for some as Busch Gardens is less than an hour away. My only downside with the hotel is that they do not offer complimentary chairs & umbrellas on the beach. Instead, they outsource those services to a local firm which costs $30 for an all day rental for 2 chairs & an umbrella. If you arrive after 2pm, it is discounted to $20, and there is even a further discount for arriving after 4pm. It is unfortunate that the hotel charges a $30 daily resort fee that doesn’t include chair/umbrella rentals but due to the partnership with this company, you are at least able to charge the beach services to your room. 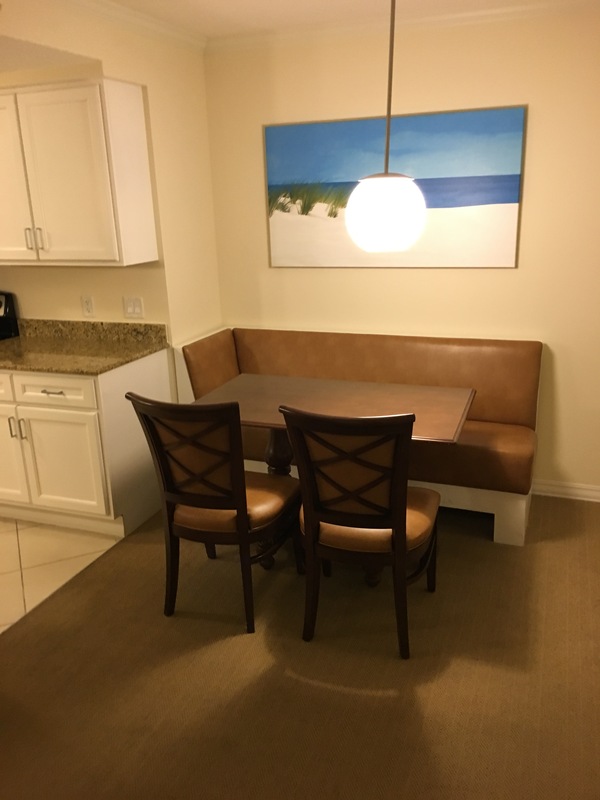 The beach area in front of the hotel is fine, white sand with clear, gentle waves – it’s a very different experience if you are used to the rougher Atlantic waters on the east coast of Florida. 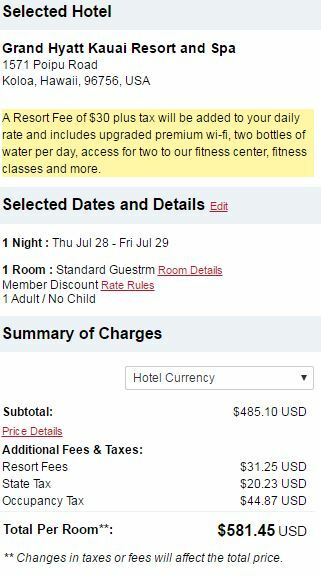 My cost for the room was 10,000 points + $125 per night + a daily $30 resort fee (which didn’t get you much in my opinion). However the hotel’s location cannot be beat and for a long weekend, this was the perfect spot for us. The service at breakfast/dinner was excellent and I’m really struggling to find a downside with the hotel outside of the daily fee for chairs/umbrellas. I wouldn’t hesitate to return with my future children as there seemed to be many activities for kids and there is even a Camp Hyatt as well. 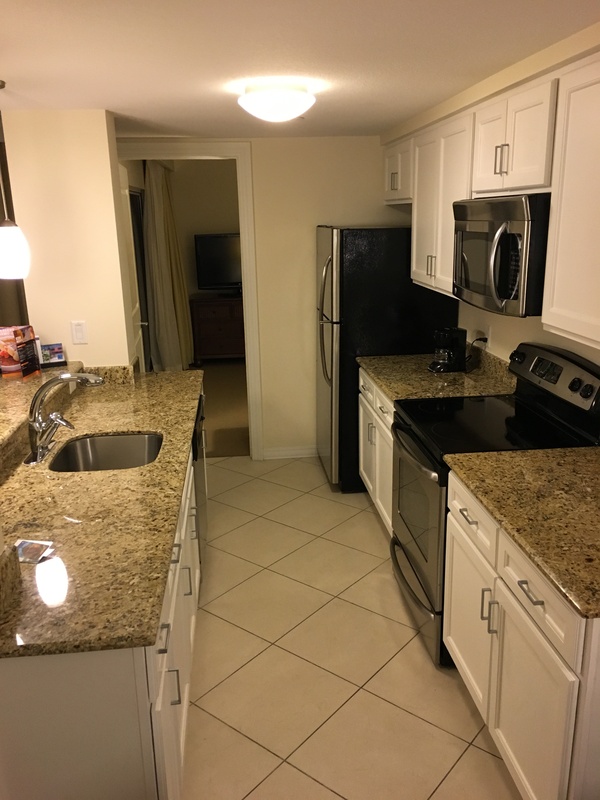 This resort also makes sense for a long weekend getaway as there are several great outdoor activities in Clearwater (think watersports and boat tours/sunset cruises) as well as several nearby restaurants/bars along the beachwalk.